Join us for Sunday Brunch at 11:00am beginning January 25, 2015. Stoney River is an upscale steakhouse, specializing in hand-cut steaks, fresh seafood selections, signature salads and house specialties. Enjoy a hand-crafted cocktail, local draft beer or glass of wine from our boutique wine list. Whether relaxing at the bar or dining in the comfortable atmosphere, our mission is to provide the highest quality food in a polished environment, delivered by professional servers with a sense of genuine hospitality. 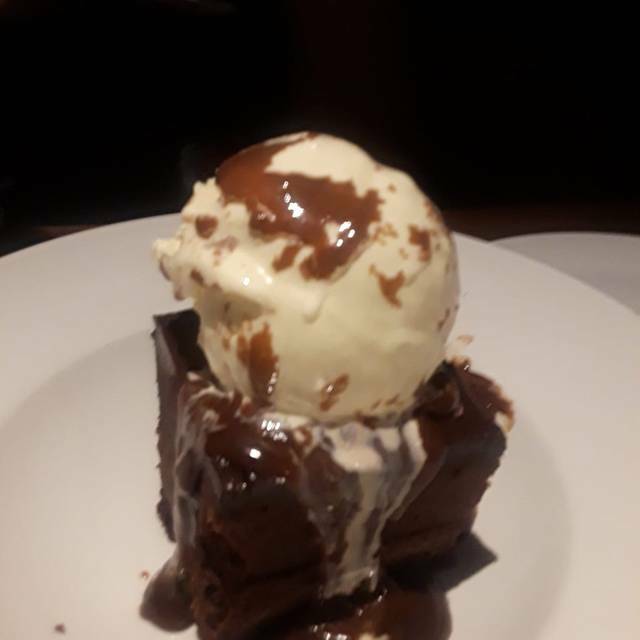 Consistently have a wonderful time here, the food is always perfect and the service is very attentive. We went for our anniversary and the special/over and above touches were delightful and helped make the day so much more special. Wonderful atmosphere and the staff remain consistently awesome. My reservation was at 3:30; however, we arrived 40 minutes early. The hostess got us seated within 10 minutes with a smile. Oh and the food is always good! We had Easter brunch there on Sunday. It was ok but mostly it was so rushed, we didn’t have a good time. They seriously were pushing our next course to us while we were still eating the previous ones. We told them at the time to slow down and just let us enjoy our meal—and then the next course would come out a minute later. 4 course Easter special holiday brunch and we were in and out in less than an hour. Not very fun. We felt like we were being pushed out the door. Was a little disappointed in the food. The outside of our steaks were burnt. (Hard and crunchy) , were quite tough to cut, and the flavor just wasn't what is usually is. I know this happens from time to time, just giving my honest opinion. The service was not up to its usual excellence. 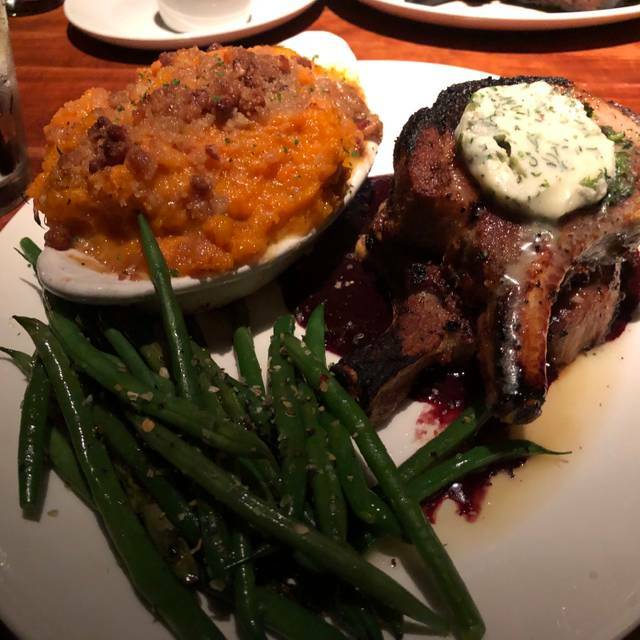 We had been to Stoney River for a previous anniversary dinner a few years ago and decided to go back. Quite frankly, I was disappointed. The food was better than ok and the service staff was excellent. I just feel we paid too much for what we got. For $125 I will go to Texas Roadhouse at least twice before returning to Stoney River. I can definitely say that the salad at TR is way better than, well, anyone's really. Not just here. They made sure to wish us Happy Anniversary and it was a pleasant experience it just lacks in value. Bang for your Buck or whatever you want to call it. The food was excellent and cooked to perfection. 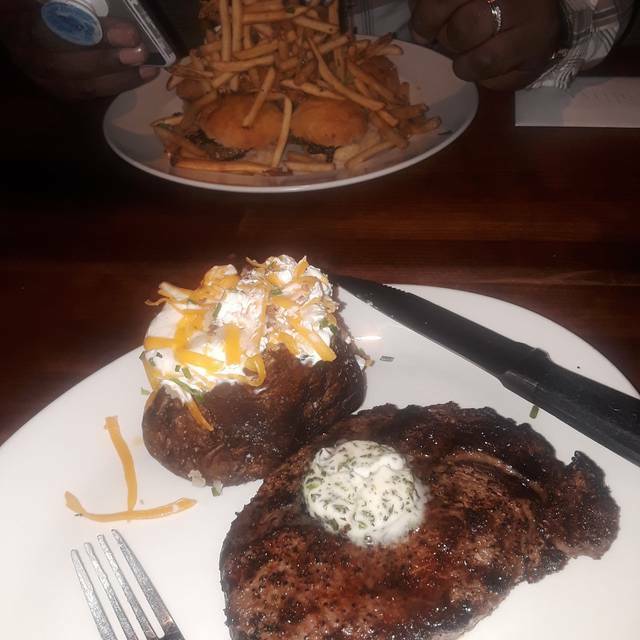 Our server was very friendly and made celebrating our anniversary and my husbands birthday extra special!! My wife and I had an amazing dinner at Stoney River! The staff and meal were excellent! We both highly recommend. Great place in the area for steaks fresh food and busy atmosphere. Well done and delicious as we remembered it after 10 years. Excellent service by the wait staff, Myself and my daughter had the Cajun Snapper,which we both felt was overly salty,but delicious. My wife had an excellent Lemon Drop with her Center Cut Filet. She was very pleased. One of our party ordered wine and it arrived with lipstick on the glass...he wasn't impressed. We asked several times for lemon for waters, the above mentioned wine was ordered for his dinner...it arrived just as he finished his meal. Food quality was good, service very spotty. There are too many steakhouses in the area for this level of service combined with this level of pricing. We dined at Stony River for our 18th Wedding Anniversary. The reception, the presentation and the food was great. We were presently surprised with a card from the staff wishing us a happy anniversary. Our server, Jose, was phenomenal. My family & I had brunch at Stoney River on Sunday! It was great! We had a varied selection from the menu & everyone was happy with their choice! Not only was the food delicious, it was plentiful!! Service was great too! We will definitely be returning!! One of the host at the entrance was little rude on how she talked to us, when I told her we had reservation. I was disappointed at her unprofessional way of talking to me. She said" we are kinda of busy so we ll get to you so can you wait". Because of that I would give 4.5 stars. Food was great. Please hire more friendly host. The food was high quality and tasted good. The service was slightly above average. However, the prices are a rip-off. I paid $39 for a 7oz filet, broccoli, rolls and a salad. 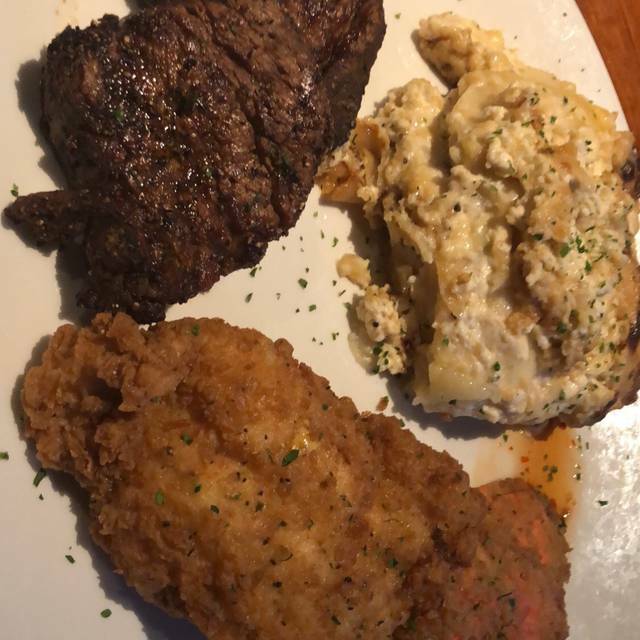 I could get the same at Longhorn for $21 and the steak would have better flavor. We only went here b/c it was a special occasion and my mom chose the restaurant. If I was choosing, it'd be Longhorn or Outback instead. Love the food & service and have never been disappointed. We have been to this location many times before and it has never failed to be a great dining experience. Damn good steak!! I look forward to my next birthday visit. Our dining experience was fantastic from beginning to end! The food was perfect and delicious. Our server, Nikki, is one of the best we have ever encountered at any restaurant. She was attentive, helpful, and knowledgeable. 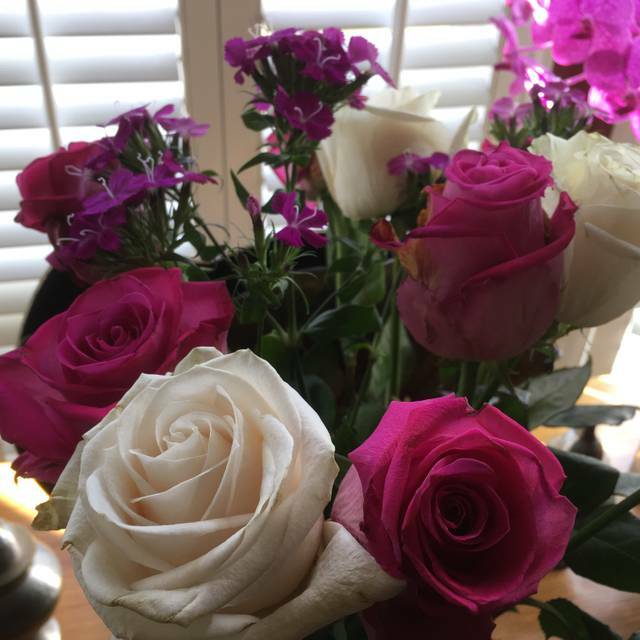 Thanks for a great anniversary! We have been regular diners at this restaurant for many years and always find the staff friendly and helpful. Food is excellent from the salad to desserts. The menu is focused on the beef diner, but other choices are available for other tastes like mine that have shifted in recent years. Nice ambience, excellent portions, would highly recommend, little honey bread late to table, but otherwise good 1st time experience.. The rolls are to die for! The service was second to none. The steak and sweet potato casserole was perfect. I will be going back for another great night out. Great food and wonderful service. Steak cooked to perfection. Steaks are hands down terrific with the maitre d butter that is served on the steak..and so tender. Sides are wonderful-cheesecake was amazing and the Kettle One Dirty Martini with blue cheese stuffed olives was very good! Would recommend to anyone that is looking for a nicer meal with quality that will not disappoint. Also Tabitha was our server and was very personable and good on recommending. 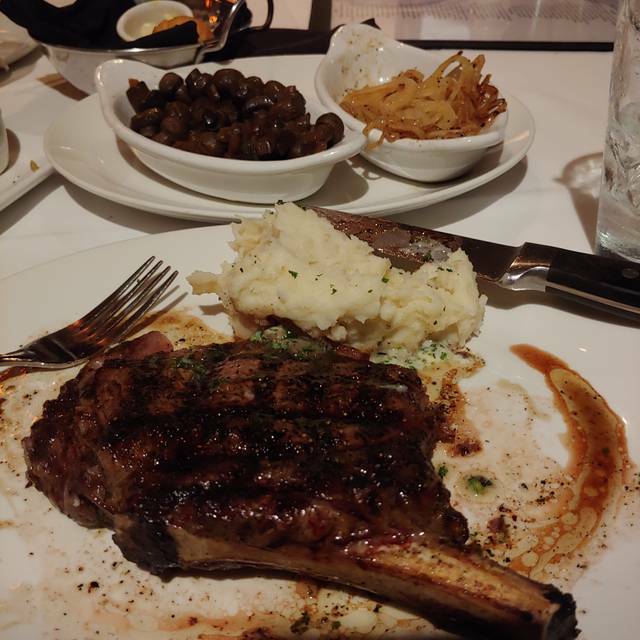 Easy to make a reservation, prompt seating,good service, my wife had the pork chops which were very good (I had take home leftover pork chops the next day, still very good). Seated next to the bar which was rather noisy at first, but calmed down after the initial wave of diners. Enjoyable experience! Excellent service, I was served by many waiters. Service was not rushed. Food fantastic. 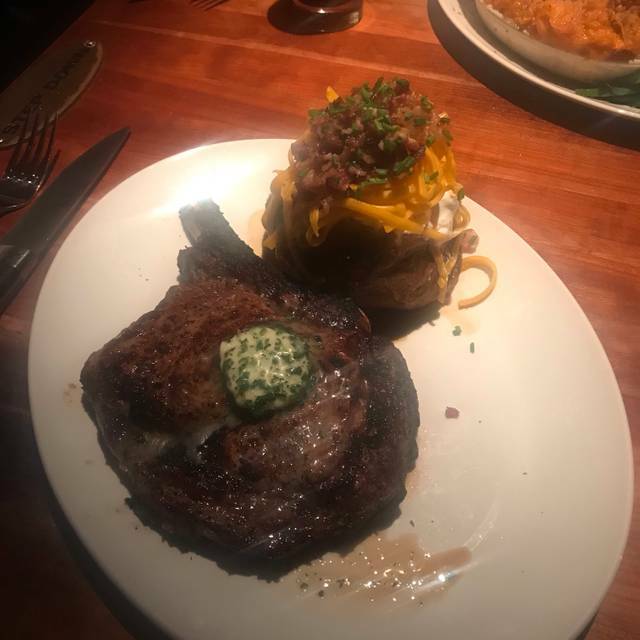 The steak was cooked correctly to order. The wedge salad I received was huge, and at a value price. Our server Jennifer was outstanding. 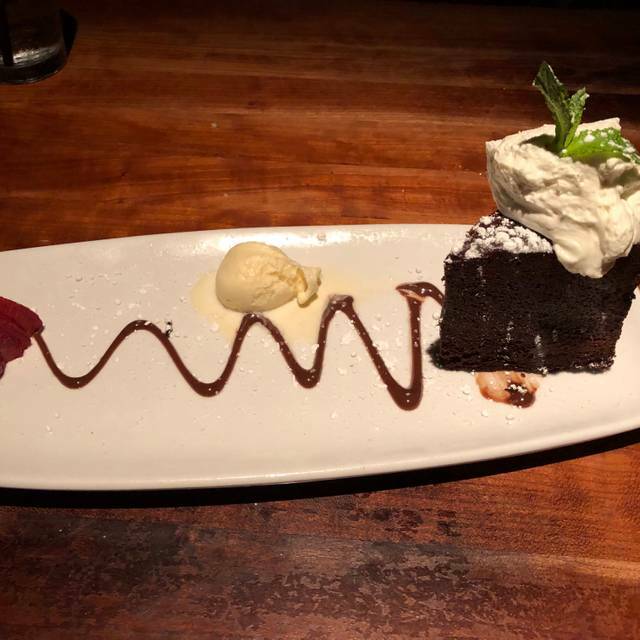 She got everything right, and kindly brought out a special complimentary dessert for my friend’s birthday. I was extremely disappointed with my visit to your Duluth location. My first experience with Stoney River was at your Cumberland Mall location where I entertained a customer at dinner. I was so impressed with the food quality, service, and atmosphere that I chose to share the experience with my husband. I took him to the Duluth location because it was closer to our home in Grayson. Our waitress was pleasant and offered good service. The food on the other hand was a major disappointment. My husband could not understand my infatuation with the place. He first ordered lobster bisque. The soup was room temperature. Both our Ribeyes were cold. We both ordered our steaks medium well. Mine was cooked medium well and his was barely medium, blood sauce surrounding. And again, both cold. Although we had an early reservation (5 pm) when the restaurant first opened, we still should have received superior food quality. My bill with drinks was over $100. No refunds, gift certificates, discounts offered. This was also a huge disappointment. My husband and I are used to fine dining and I entertain my clients quite a bit. 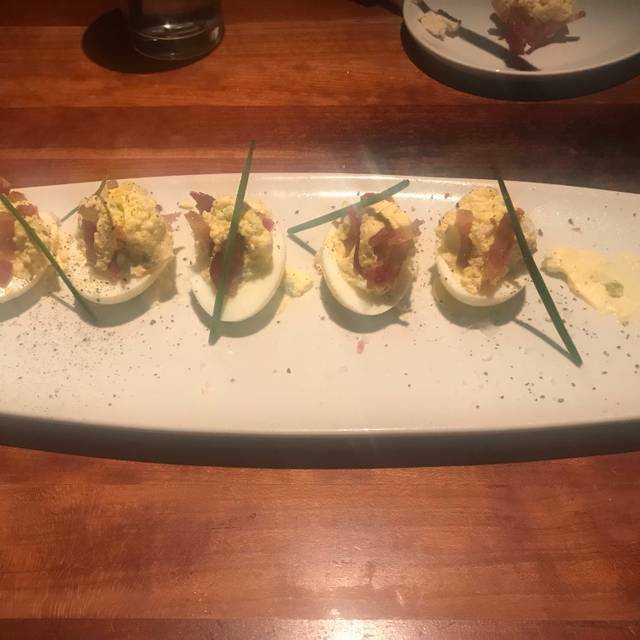 It would be hard for me to recommend Stoney River, whereas, I would not want to embarrass myself or company in my suggesting the food at this location. It is unfortunate that one bad experience can change your opinion about a location, however, considering the amount of money spent and let down, I would not chance it again. Love Stoney River Duluth! The bar crowd was awesome ! Fatima and Leah are the best bartenders in the city ! Our server Morgan was so attentive! We love to watch the teamwork between all the servers and managers. Everyone took care of us and made sure we had everything. It’s hard to get service like this anywhere . Definitely recommend Stoney River! Great! My son’s favorite place! We had a 6 person party. Ellie was terrific and worked very hard. She was very attentive to our needs, always came at the right time, and has a wonderful demeanor. The food was also delicious and cooked perfectly.